What Is Mock Tender Steak? Mock tender steak is a cut of beef from the back of the cow. It got its name from its shape (similar to the tenderloin) rather than its texture, as it can be quite chewy. This lesser-known cut is cooked as a steak and ideally served thinly sliced, or it can be used in soups or stews. Its advantage is that mock tender steak is very economical. Mock tender steak is a tough little beef steak that is part of the chuck section, specifically the point of the chuck primal next to the top blade. It is very chewy, as it is made up of connective tissue and fibrous muscle. 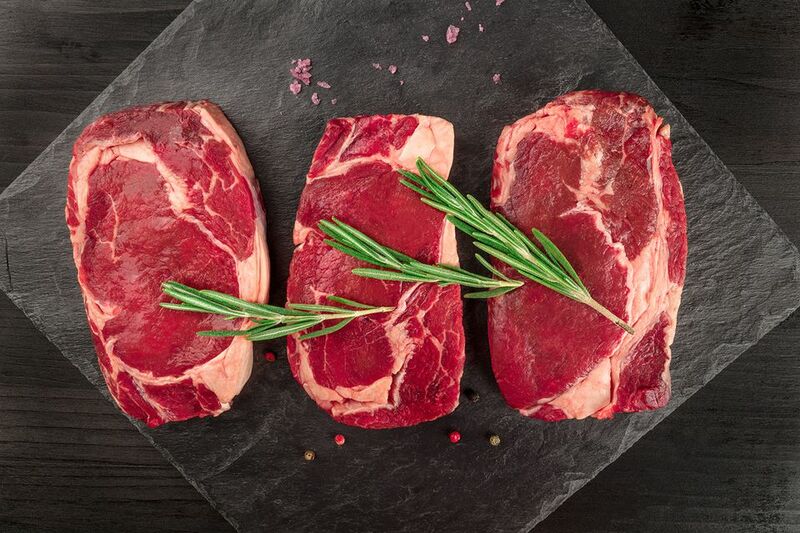 Chuck yields more than six different cuts of steak, each having the most complex bone and muscle makeup compared to the rest of the animal's meat. Mock tender also goes by several other names including chuck fillet steak, chuck clod tender, shoulder tender, petite fillet, fish steak, chuck tender steak, tender medallions, and shoulder petite tender. Brown the meat by searing it in a hot pan. Add a small amount of liquid to the pan and bring to a boil. Lower the heat, cover the pan, and simmer—this will steam and poach the meat, adding moisture and creating tenderness. If you prefer to grill your steak, you will need to follow a few steps before placing it on the barbecue in order to achieve a tender and tasty meat. While generally flavorful, mock tender definitely needs a good marinade if it is going to be grilled. But before you place it in the liquid mixture, it is also a good idea to use a mallet tenderizer to break up the tough fibers. Just be sure to create an even thickness and not to pound too thin. The marinade used should have a strong acid component (which breaks down the tough fibers), balanced with oil or fat to protect the surface of the meat and hold in moisture. Place the mock tender in the marinade the night before and flip over once or twice to make sure the marinade is evenly absorbed. For a medium-rare steak, grill the meat four to five minutes per side (for 3/4-inch thickness). Let rest and then slice thinly before serving. As with other chuck cuts, the mock tender can be used as stew meat. Cut into pieces and placed in a slow cooker along with plenty of liquid, the meat will go from "mock" tender to "real" tender over a few hours. Just make sure the cooking liquid includes an acid such as tomatoes or beer to help soften up the meat's fibers. What Does Mock Tender Steak Taste Like? Mock tender steak has a rich beef flavor. It is a lean cut, so there will be little in the way of rendered fat when it is used as stew meat. You can use mock tender steak in recipes that call for braising the beef. It also works very well in stews and soups. You might see mock tender steak in the meat section of your grocery store or at a butcher shop. It formerly was fairly uncommon as it was part of a traditional chuck roast. But as traditional pot roast dinners have declined, butchers are breaking down chuck into a variety of steaks and roasts. As such, mock tender steak may be sold in its own right. It should be inexpensive, but sometimes the pricing in more in line with a small tenderloin steak. In that case, you are not getting good value for your money. A whole chuck tender can weigh about 3 pounds, while it might be cut into individual steaks. Store fresh mock tender steak in the refrigerator and prepare it within three to five days. Steaks can be kept frozen in airtight wrap for six to 12 months. Defrost the steak in the refrigerator before using it. Mock tender steak is lean and has only 160 calories in a 3-ounce serving, with 5 grams of fat that includes 2.1 grams of saturated fat. The 28 grams of protein in this serving provides 56 percent of your daily need. It is also a good source of vitamin B12, B6, riboflavin, niacin, iron, phosphorus, zinc, and selenium.